Lockerby students have the opportunity to enrol in the Specialist High Skills Major- Health and Wellness (SHSM- H&W) program. In this program, students will complete courses with a focus on areas related to health care. Students can enrol in this program at the beginning of Grade 11. 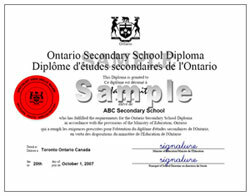 Also, any STEP student can take the Grade 11 Medical Biology and Health Care courses (major courses in the SHSM program) without being a SHSM student. 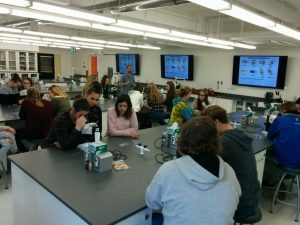 These Grade 11 courses take students through an overview of many health care topics relevant to different age groups in society. Also, Grade 12 Health Care is offered for STEP students and those enrolled in SHSM who are interested in pursuing a health care field in their post-secondary education. This course allows students an opportunity to further investigate fields of health care and practice skills by learning the basics of a physical examination. These health care focused courses are designed to give students an overview of the major body systems, infections and the immune response, age-specific health topics, clinical skills and career options. 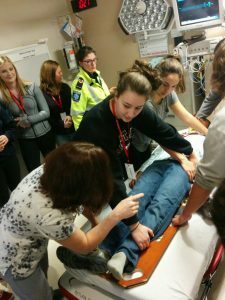 This is accomplished with the use of a variety of tools such as nursing manikins that can simulate a variety of body functions and scenarios, simulation manikins and anatomical models, and guest speakers from the community. To compliment their experiences in this program, students perform an independent research project in a health field of interest. This project allows students to further investigate potential career pathways and possibly consult experts for advice. As well, students hear from experts in various health care fields. 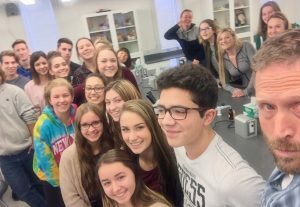 Ultimately, these experiences allow students to get a great introduction to the field of health care, learn skills that will be beneficial in the future and allow them to make more informed decisions about their education and career choices after high school.